We put a lot of repairs into this car. 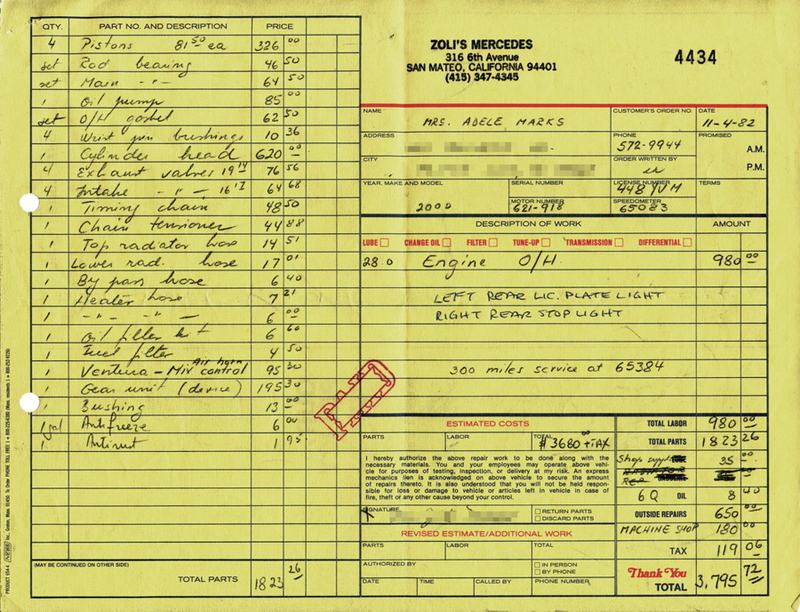 In 1982 we had the engine overhauled for nearly $3,800. It's not clear to me this was worth it, but it might have been cheaper than getting a replacement car.